My very Dear Friend Robbie was frustrated with loads of Email Notifications that he received daily on his mobile. And so, one day, out of anger, he disabled his notifications. We all feel the same as Robbie. We receive loads of email daily. Be it some promotion, social media notification, statements, receipts or any important business related mails. At times, Important Emails get missed out. So, what if, my Mail Inbox gains Intelligence and gives me total control over my Inbox Notifications and is also capable of Smart Actions to respond to new Emails. And so, to ease out this core problem that we face daily, Smart Inbox is here to bring Intelligence to your mail box! User, then can create Actions to respond to. Be it Alert Notification or even Auto-Save download of Attachments to a pre-defined folder. 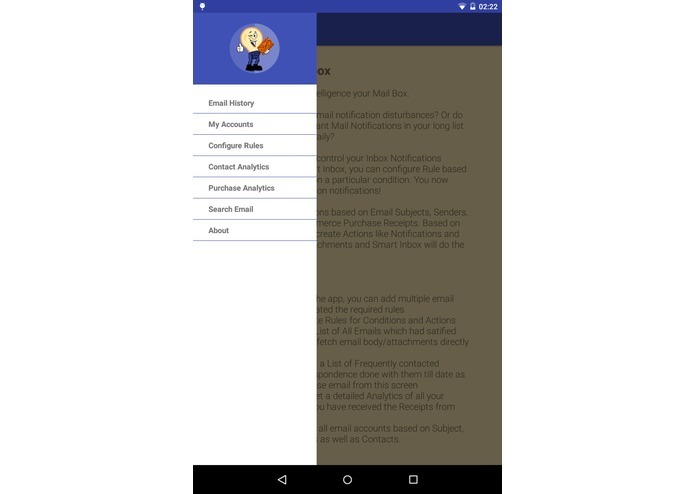 Smart Inbox Engine acts on a Trigger in case a new incoming email satisfies a configured Condition and based on the corresponding Action, it will provide the required Actions. 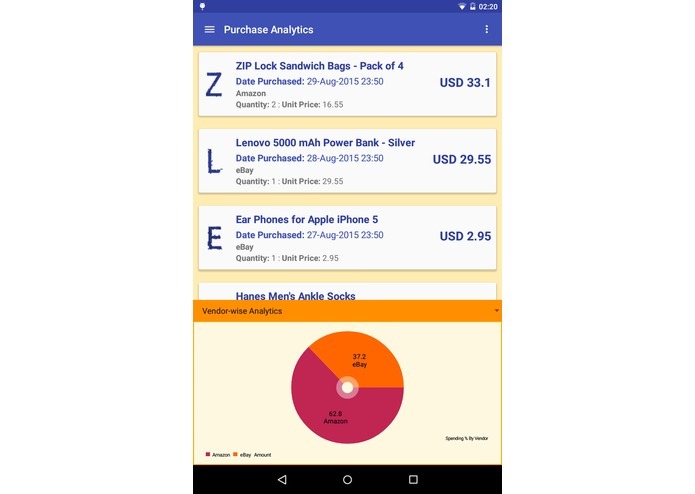 Smart Inbox is also capable of reading & automatically understanding online Purchase Receipts if you receive them in your email. 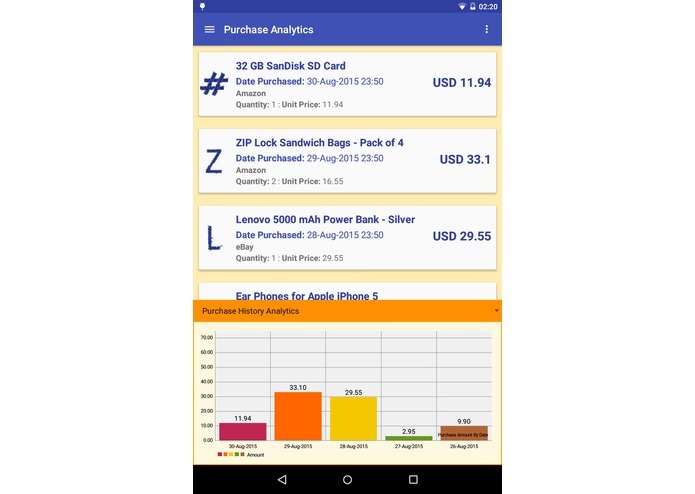 Based on the details, it provides the user with detailed Analytics like Purchase History, Vendor History and Analytics. 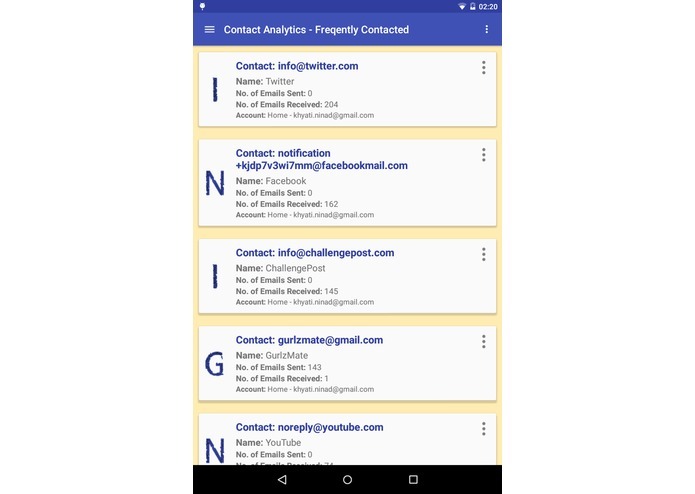 Contact Analytics - Provide a list of most contacted contacts and a list of correspondences done with them. 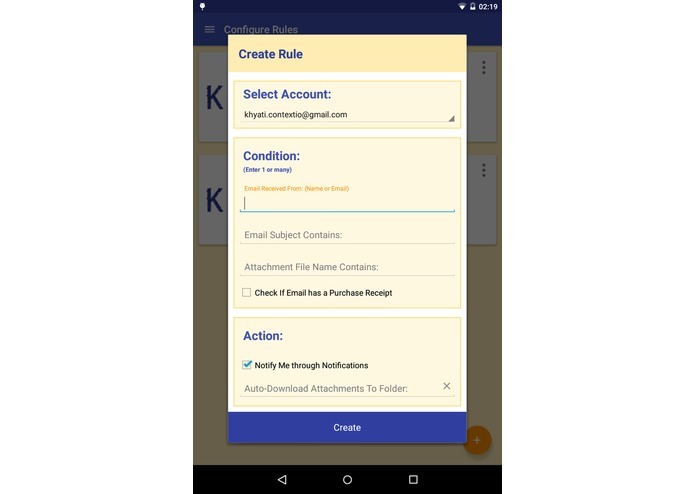 User can directly compose an email from the app using his preferred mail client. Track History of the emails which triggered the defined rules, download the mail body as well as any file attachments. 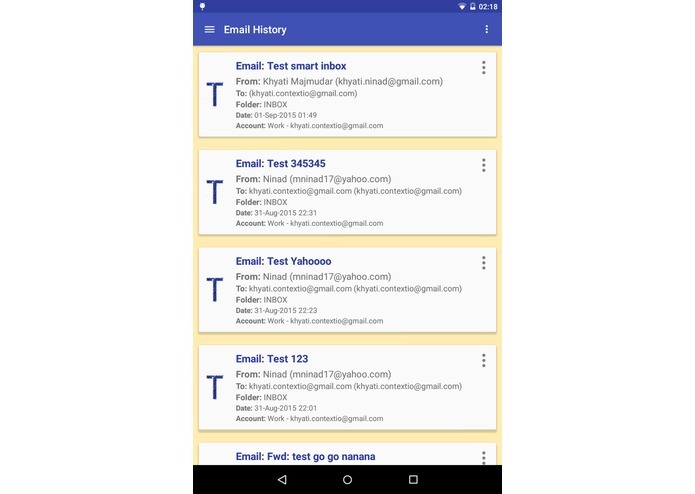 Smart Inbox is an Android Application which is powered by Context.IO APIs. It has an intelligent Rule Engine which responds to Emails based on user configuration. The rules are created as Context.IO WebHooks and this automates the Email Rule Engine. 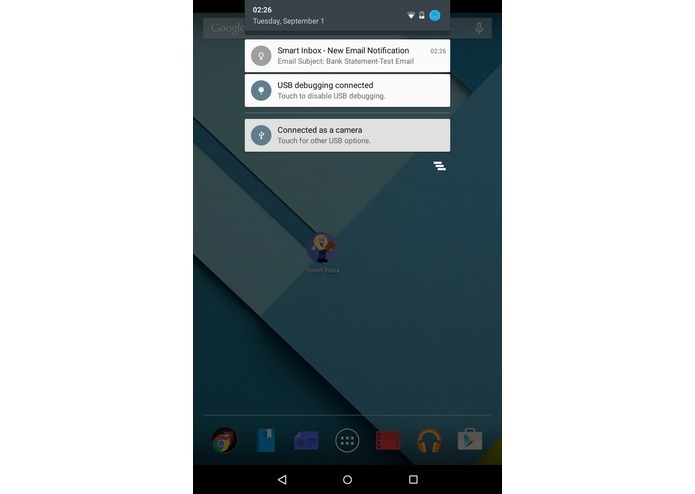 Back-end server uses Push Notifications onto the end-user device. This eliminates the Sync process of Email Accounts and thereby, do not drain the mobile battery! 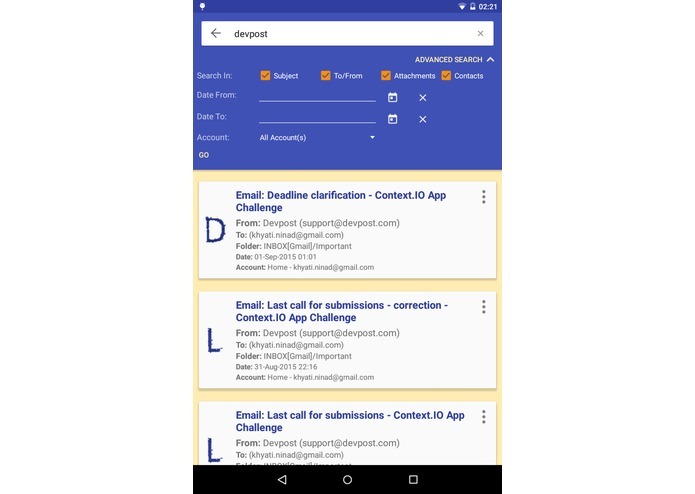 I am also proud of the Search Engine which can effortlessly search across various Email entities like Messages, Contacts and Files, thanks to the super powerful Context.IO API. I learnt about the power of Context.IO APIs when it comes to WebHooks and using that to create Push Notification on end user's device. Smart Inbox is currently under Beta Testing. We are in process to integrate more Email Account Types which support OAuth authentication, provide more Analytics on Receipt Parsing and More Types of Rules and Actions!